Puppy love is in the air! Chick and Pug are the most dynamic duo around. That is until a new pug named Daisy comes along and sets her sights on the very handsome, very brave Wonder Pug. Chick agrees: every great hero needs a fair maiden by his side. Could Pug be Daisy's knight in shining armor? Maybe, if he ever wakes up from his nap . . .
Brimming with the same humor and charm fans have come to love from Chick and Pug, readers will delight in their next adventure. 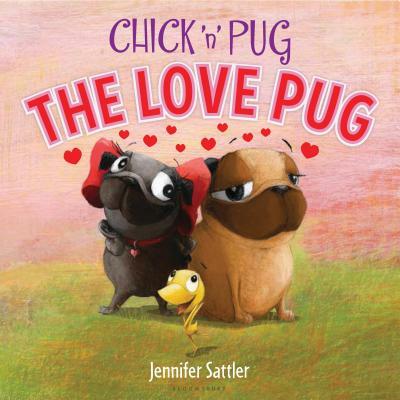 Jennifer Sattler is the creator of the picture books A Chick 'n' Pug Christmas, Chick 'n' Pug, Chick 'n' Pug Meet the Dude, Pig Kahuna, Pig Kahuna Pirates!, and Sylvie. She is married and has two children and two dogs, both of which are part basset hound and thus aspire to be much bigger dogs than they really are. She lives in New York.